Have you been wondering if there is something else apart from your workout routine that can help you lose weight? Want to burn that extra belly fat in a quick way? Then there is one wonderful equipment that can get your job done. It is the tummy vibrating belt! You can wear it around your waist and just plug in to see your belly fat vanish! These belts work on strengthening the stomach muscles to give you a slimmer look. If you don’t find enough time to step into a gym for a strenuous workout, tummy vibrating belts can be a safer bet for you. Want to know more about these weight loss belts and how they can help you shed those extra kilos? Then this post is a must-read for you! How Do Tummy Vibrating Belts Work? These are the electronic belts that work on the theory of Electric Muscle Stimulation (EMS). They jiggle your belly for 10 – 15 minutes to stimulate the muscles of the stomach. Some manufacturers also claim that these belts reduce the volume of your tummy to restrict your food intake considerably. This gradually leads to weight loss. Tummy vibrating belts also produce heat that makes you sweat and lose excess body water. 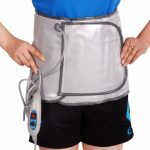 How To Use Tummy Vibrating Belt For Weight Loss? Well, it is the simplest gadget to use for getting slim. You can wear it on any desired area, be it your belly, thighs or hips. They offer speeds of up to 5500 rotations in a minute. Some tummy vibrating belts have timer adjustments as well. You can set the timer for the desired period of vibration. The belt will automatically switch after the set time. This belt is worn directly on the skin. So remove the clothes from your stomach or before you wear it. You can tie the belt to your waist, with its soft side in contact with your skin. Bring both of its sides to the front of the belly button. Then use Velcro to secure it tightly over that area. Switch on the power button and adjust the vibration speed according to your suitability. You can carry on with your workout routine at the same time. Keep your tummy belt on for 15-20 minutes, and then remove it. 1. Slimming Belts With Speed Variation: You can adjust the speed limit in this type of belts. 2. Exercising Slimming Belts: They are used while exercising to increase your perspiration, thereby leading to loss of water in the body. 3. 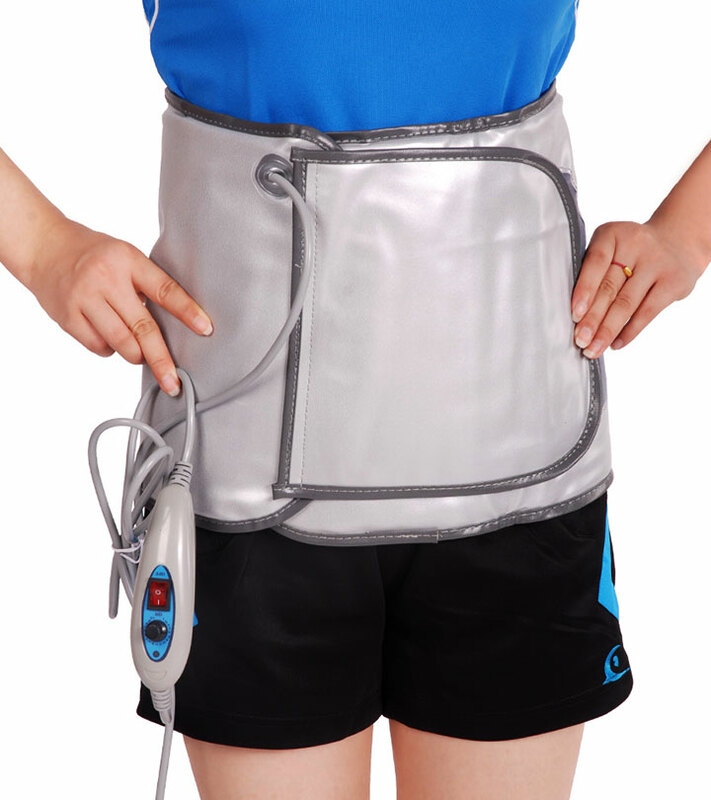 Supporting Vibrating Belts: They support the back and help to lose abdominal fat as well. 4. Slimming Belts With Sauna Action:They work by increasing the temperature around the area where they are tied. Then they help in reducing the weight of the body. How Tummy Vibrating Belts Aid Weight Loss? For targeted weight loss, it is always better to choose those tummy vibrating belts that work with electronic stimulation. With expert supervision, these belts can be effective in helping you shed some pounds and reduce your tummy. They help to contract tissues of muscles without actually leading to an increase in their size. By enhancing the levels of motion, they ease spasms and also avert muscle contraction in most of the cases. By regularly wearing these vibrating belts, you can strengthen your muscles and eventually lose fat. When you use the belts with workouts or your daily chores, they stimulate the effects of the exercises. Vibrating belts with heating pads are excellent for this. By inducing body heat, they increase your body temperature. Muscle tissues warm up, and your metabolism works extra time to burn excess calories. It prevents the storage of extra fat in the body. Due to their electrical impulses, tummy vibrating belts control your appetite as well. This makes you feel fuller and largely cuts down your food cravings. These impulses also slow down the process of digestion. These vibrating belts with controlled speeds and vibration send small impulses to your stomach muscles. These currents excite the nerves and help to contract the muscles. Those having pacemaker should avoid wearing these belts. This gadget passes electric currents that may intercept the signals of pacemaker. These belts may cause an itching or tingling sensation on the skin. They may be caused by the electrical impulses of the belt. These sensations stop when you switch off the power. Avoid close contact with water and don’t use wet hands while operating these belts. It may cause an electric shock or even severe burn injuries. To avoid dehydration, drink lots of water after using sauna vibrating belts as they may lead to excessive loss of body water. Check the warranty details and return policies of the seller of your belt. This will keep you on the safe side if you feel dissatisfied with the product. Always consult your physician before you use any tummy vibrating belts; especially if you suffer from some serious heart diseases or blood pressure problems. These belts work by passing electric impulses, and hence individuals who have such health problems should exercise caution. Always accompany a tummy vibrating belt while you are working out. These belts cannot reduce weight all by themselves unless you practice some exercises along with them. Have you ever used tummy vibrating belt for weight loss before? How did you find them? Share your experience with us in the comments section below! Is Morning Walk Effective For Weight Loss? How To Get A Smaller Waist In Just A Week?